Car keys replacement service at LockTech24/7 is a one-stop shop to replace your lost car key. Not only you can cut your car key with us, but we can also program a car key or a key fob to your car. Perhaps, you don’t think too much about your car keys. This is because anytime you want to start your car, it starts fast and easy. When you have trouble with your car key, only then when it comes to your concern. In general, car keys issue can occur for any reason. For instance; breaking your car key in the ignition, or losing your only car key on the soccer field. 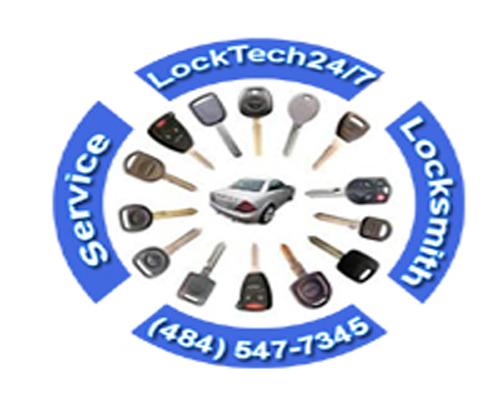 LockTech24/7 emergency automotive locksmiths can easily help you when you lose your car key, or your car key stops working. Our auto locksmith experts can get you back on the road in a fairly time frame. We are available 24/7 to provide emergency locksmith services, as well as car key cutting and programming service. As can be seen, with our on-site key made service, we will have you back on the road in no time. A car key can break when you least expect it to happen. A tiny crack on the key shank is enough to ruin your day. A few years of ware and tare on your key can cause the damage to split it apart. You can break your key in the door lock, trunk lock, or ignition lock. This is not your fault, but it can happen in the middle of a day or at night. Car keys can break because of applying too much pressure on them while you unlock your car door or start the car. What can you do when your key to snap in half? You may call LockTech24/7 for help! We will extract your broken key out of your lock, then make a new key to your car. With so many entertainments in the Lehigh Valley, you can lose your car key, anywhere. For instance; you can lose your car key in Dorney Park, PPL Center, or in Dutch Springs of Bethlehem, PA.
We are here to give you a piece of mind whenever you lose your car keys. This is the reason why we’re available 24 hours a day. In short, we can make your new car key if you call day or night. Whether you need a Ford key, Chrysler, or GM car key. And whether you need Honda key or Nissan car key, we’re able to help. Call us for an estimate of any car key you may need, we would be happy to assist you. In regard to programming car keys, we are able to program most of the car keys or key fobs in the U.S market today. We have many programming machines, each does a different car. When you need to program a car key, you may call Lockech24/7 in order to get a pleasant time dealing with your car key problem. We have your transponder car key! Transponder car keys need to be programmed in order to start a car. Audi, Mazda, VW, or Toyota car key replacement, don’t hesitate to call LockTech24/7. In many cases, a car key stops working properly out of ware and tare. When your car key is old, and bee n used too much, it can cause problems. Before you wear and tare car key cause damage to your ignition lock, you better call us to replace your car key. As you can see above, car keys can become worn out and eventually break in your lock. Your car key can be less efficient during the time. You may jiggle the key in order to unlock your car door or try to start on your vehicle. You may know, if this happens, you can damage your ignition cylinder. It is better to take care of these issues before you get a further damage to ignition lock. Car key fob replacement is available when you call us to start your car. As for today, many vehicles have a push-to-start ignition or a key fob for a key-less entry. If you have push-to-start ignition, we can help. We’re the car key experts to get you out of the trouble as soon as possible. Call us, hassle free, whenever you have an issue with our car key or your car key fob. We’re available at any time to serve you, especially when you think it’s the end f the world. We are only one phone call away to get you out of the troubles. When you call us to help to replace your car key, you gain a huge benefit having a locksmith in your location. Our mobile car key shop is fully equipped with the latest cutting and programming machines, as well as advanced locksmith tools. Also if you lost all your car keys, we still able to make a new key to your vehicle. We simply send out your VIN number in order to get the key code and the pin code to your car. Since we got the codes, it easy to cut and program a new key to your car. 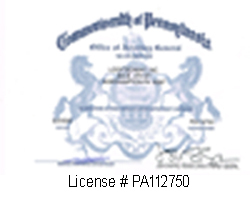 In addition, when you call us to make a new key to your car, you don’t need to tow your car to a local dealership. Think about the moment when we show up on your driveway to make a new key while you enjoy the evening with your kids.